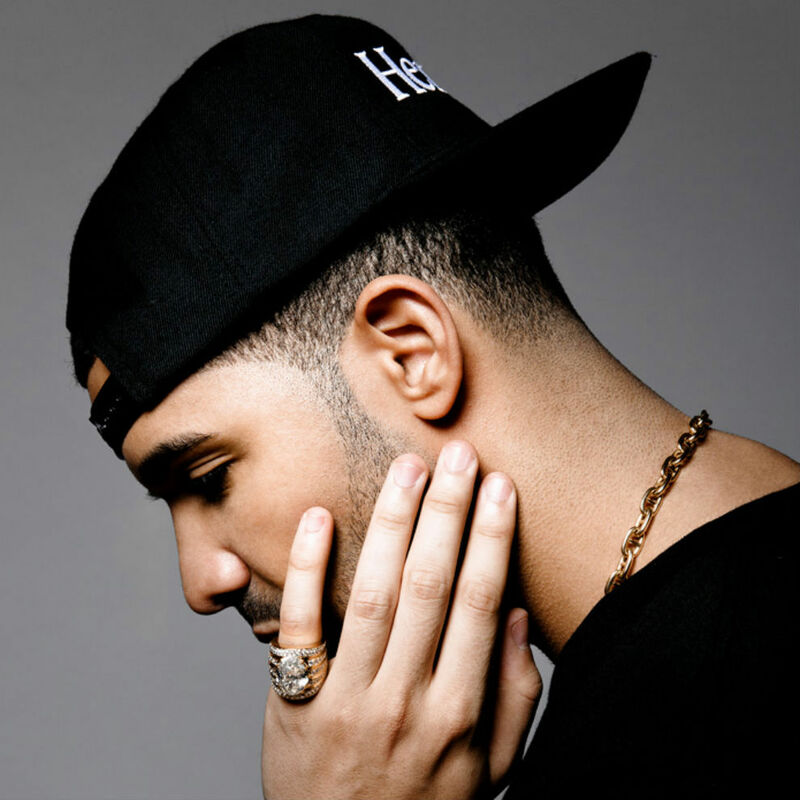 Hip Hop superstar Drake took home the coveted “Best Hip Hop Video” Award at the MTV VMAs moments ago. The category featured some of hip-hop music’s heavyweights including: Childish Gambino (“3005), Drake (“Hold On -We’re Going Home”), Eminem (“Bezerk”), Kanye West (“Black Skinhead”), and Wiz Khalifa (“We Dem Boyz”). Unfortunately, Drake wasn’t able to attend the award show — presenter and fellow hip-hop veteran Common accepted the award on his behalf. Kendall Jenner Shows Her Love For Yeezus While Shopping In Studio City — See The Pics! While the Kardashian-Jenner clan counts down the days until Kim’s wedding to rapper Kanye West, scheduled to occur next month in Paris, Kendall Jenner showed some love for her future brother-in-law and father of her niece North while shopping in Studio City, CA today (April 23). Kendall was sporting her Yeezus tour concert tee, featuring a skeleton in full Native American headdress, while out with friend Shamari Maurice. She paired the shirt with black skinny jeans, her Steve Madden ‘Troopa’ combat boots (available here), and a studded purse for a look that exudes rocker cool. Kendall Jenner Walks For Givenchy At Paris Fashion Week With Support From Kanye West — See The Pics! It was a (future) family affair at the Givenchy Ready-To-Wear Fall/Winter 2014-15 presentation on Sunday evening (March 2) when Kanye West turned out to support future sister-in-law Kendall Jenner for her first runway walk at Paris Fashion Week! Also in attendance? Rihanna and U.S. Vogue editor-in-chief Anna Wintour — who Kendall scored a coveted seat next to at the Topshop Unique show during London Fashion Week last month — watched Kendall show off her runway skills (and the gorgeous clothes, of course) as well. Reality stars Kylie and Kendall Jenner are just as excited as we are for the engagement episode of KUWTK; the new episode airs tonight at 9/8c. By now Kim and Kanye’s engagement is “old news”, but the details and the actual episode will be great to see. The sisters have been on social media to let us know about this special episode — Kendall tweeting, “RT if you’re tuning in to this very special #KUWTK tonight!”, followed by Kylie who tweeted, “So excited for you guys to see the engagement tonight”. Be sure to tune in to E! tonight for an ALL-NEW episode of KUWTK for the ENGAGEMENT EPISODE! Check out the trailer for the episode below. Kendall Jenner Supports Her Future Brother-In-Law While Grabbing Lunch In WeHo — See The Pics Here! Although Kendall Jenner was spotted stepping out solo to grab some grub to go from Fred Segal in West Hollywood, CA, on Monday (January 20th), she wasn’t really alone… she had her future brother-in-law Kanye West with her! Well, on her shirt, at least. Kendall was rocking a “Yeezus” tee from his latest tour that features a skeleton wearing a full headdress. The “Yeezus” lettering is designed to resemble the classic logo of the band Metallica, so combined with her black skinny jeans, she was looking totally rock ‘n’ roll to us! We’re loving her style — what about you? 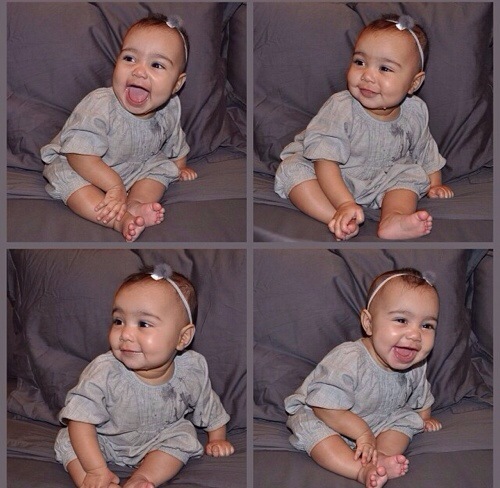 Mom Kim Kardashian has posted all new photos of baby North West today! She also showed them on the Ellen show, which she appeared on today. It’s very rare for Kim and Kanye to share so much of their private life with the public. Check the photos out above!